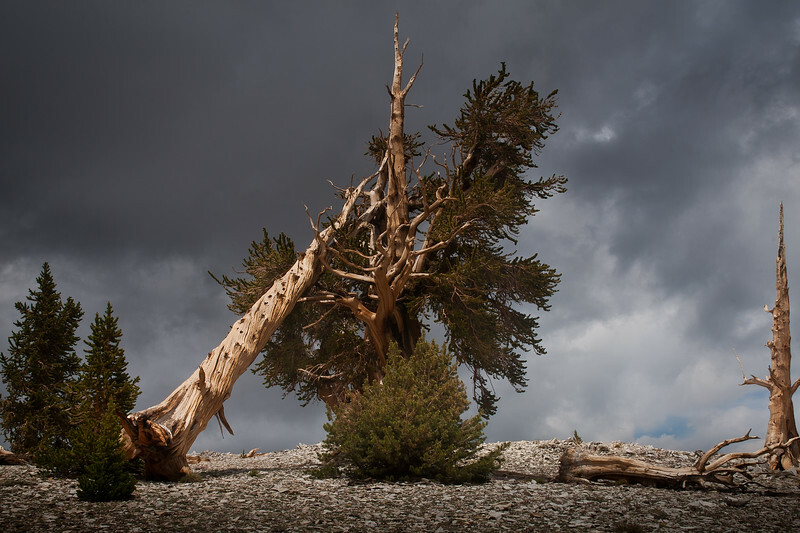 Taken during a break of a summer thundershower in the White Mountains in the Schulman Grove. 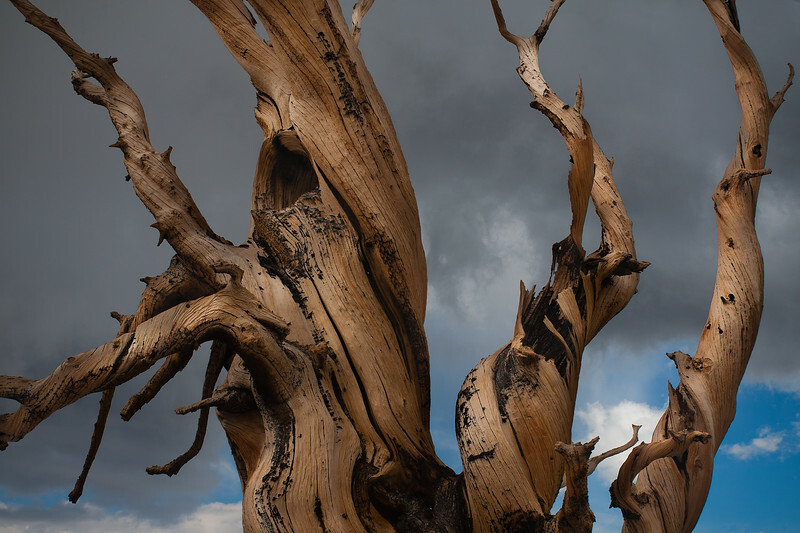 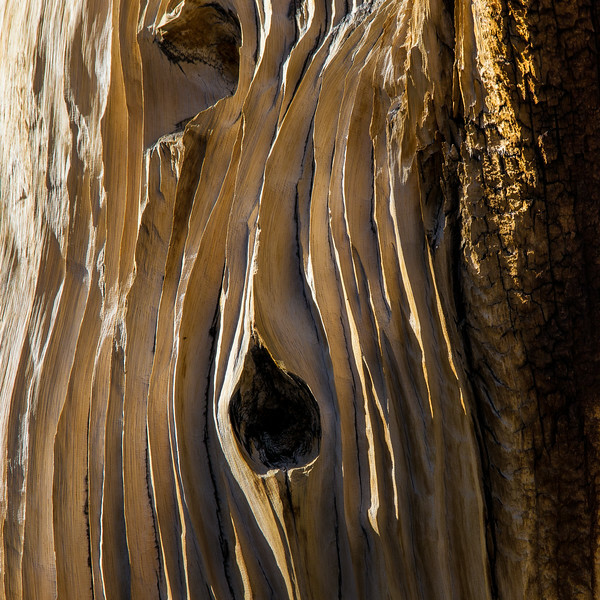 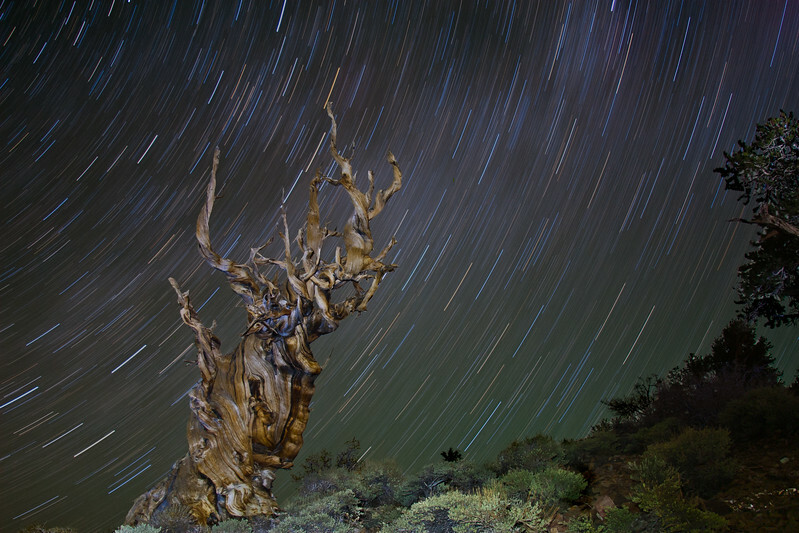 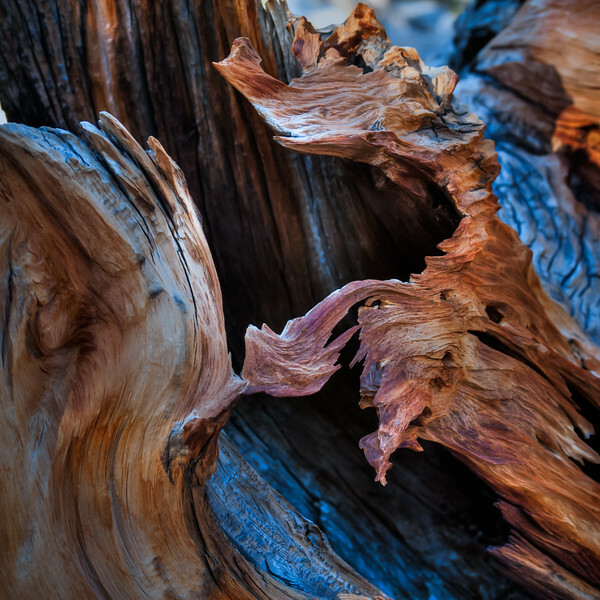 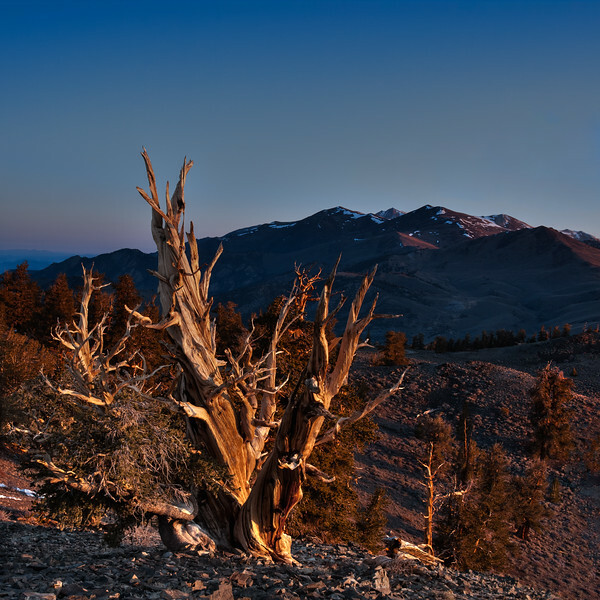 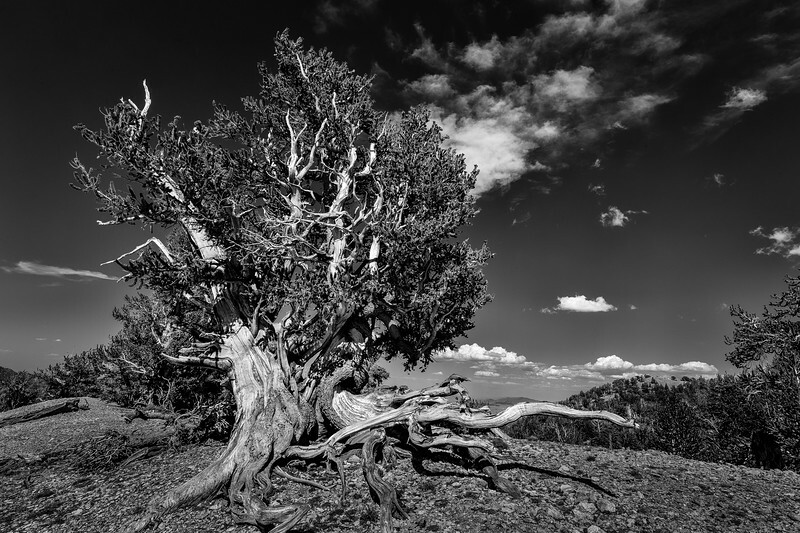 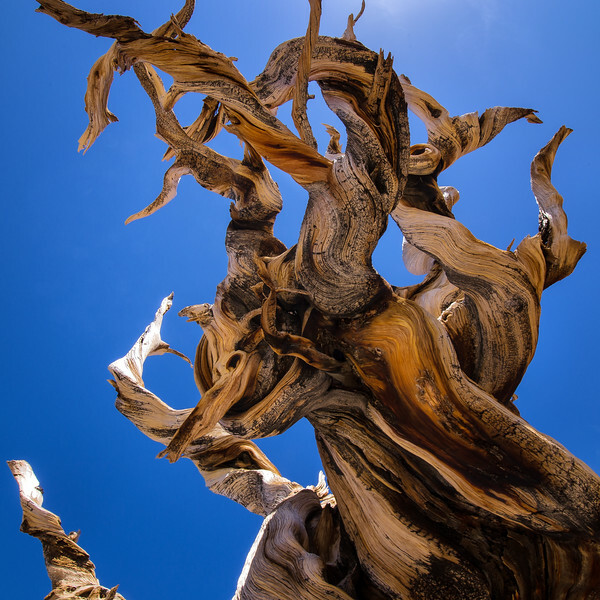 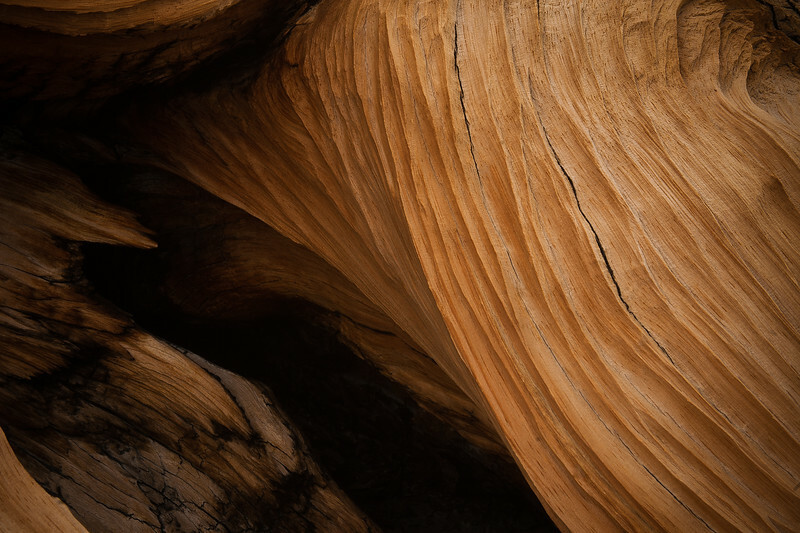 A summer trip to the Ancient Bristlecone Pine Forest in the White Mountains became a chance to experience some of the harsh weather that gave these legendary trees their unique weather-worn look. 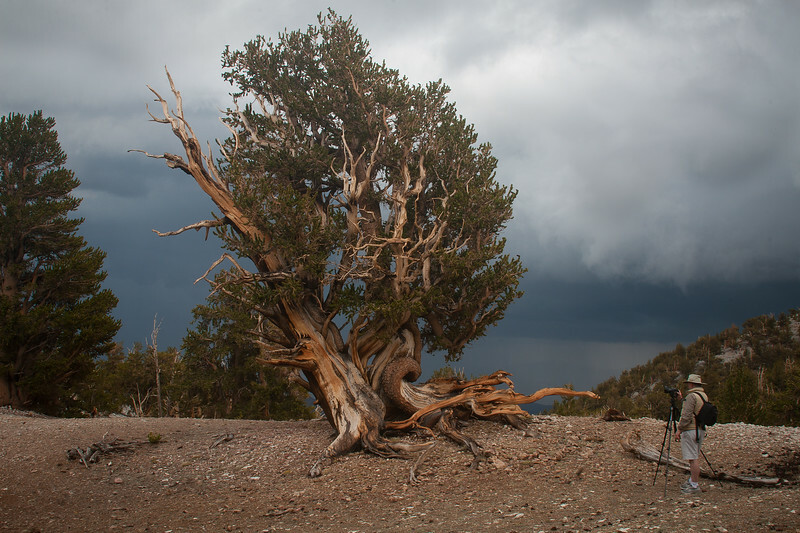 The monsoon storm provided a countless supply of thunderclouds which created a dramatic sky, marble-sized hail, and a trip not soon forgotten. 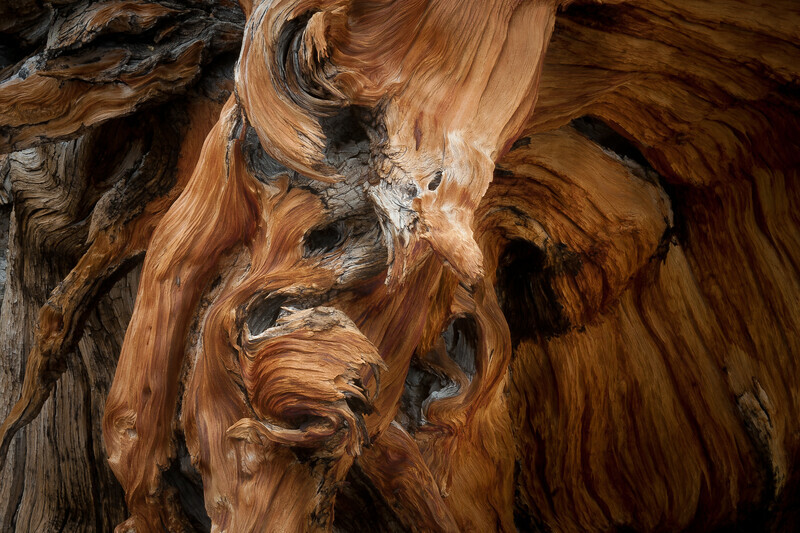 The twists and turns of this ancient tree makes it one of the more facinating trees in the Patriarch Grove in the White Mountains in California. 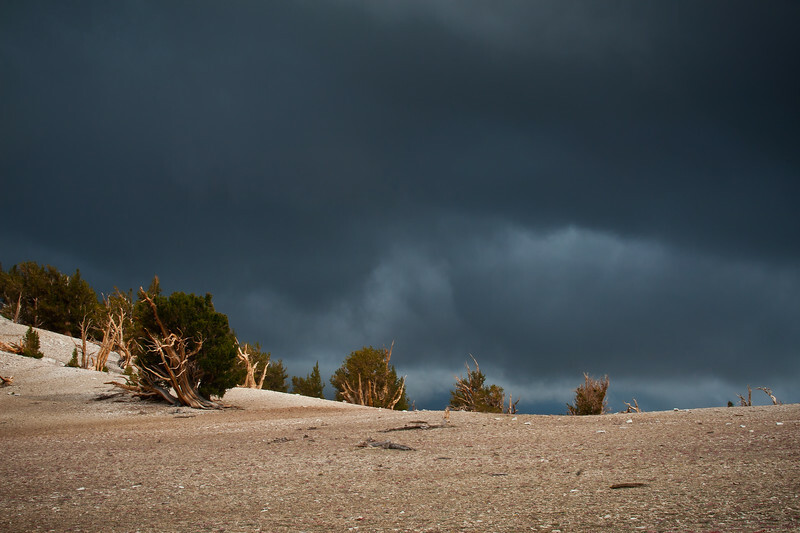 Dramatic summer storm clouds in the Patriarch Grove on White Mountain in California. 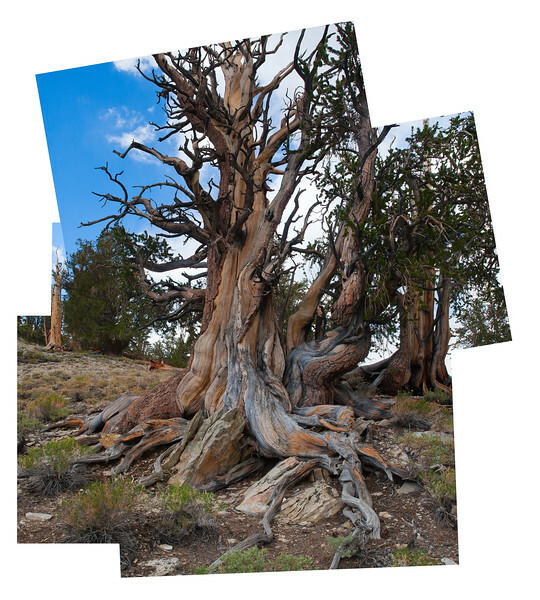 With this image I am doing some experimenting using some photo collage techniques. 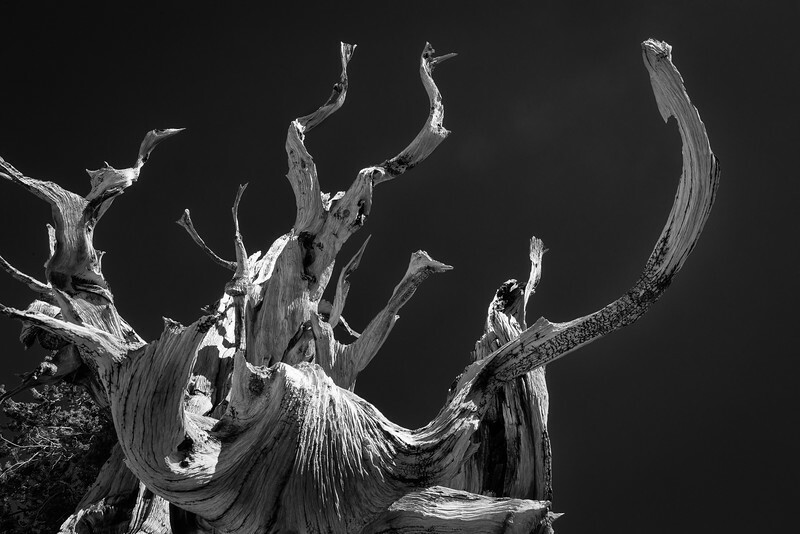 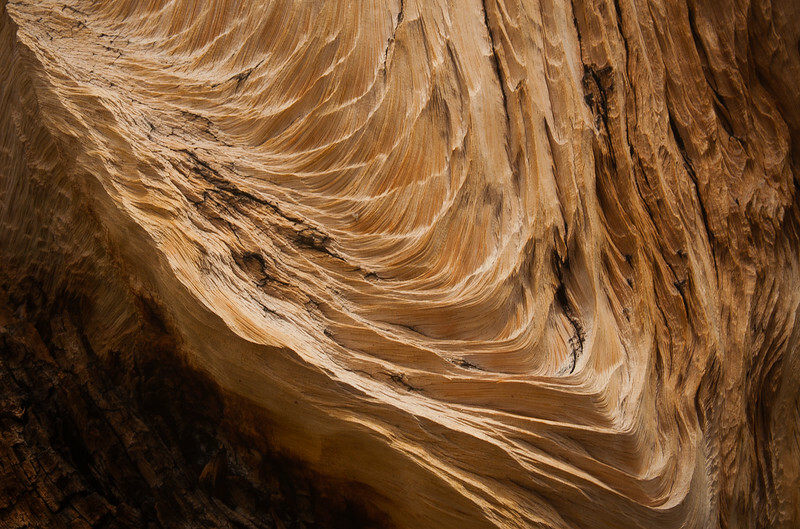 The twisted and contorted nature of the bristle cone pine trees seemed like great subjects to experiment with. 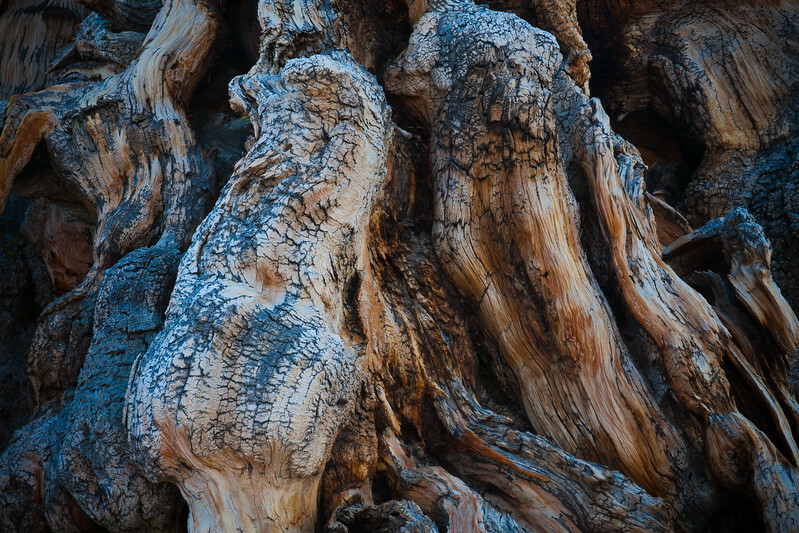 Closeup detail of the tree roots of a fallen bristlecone tree that's about 3,000 years old. 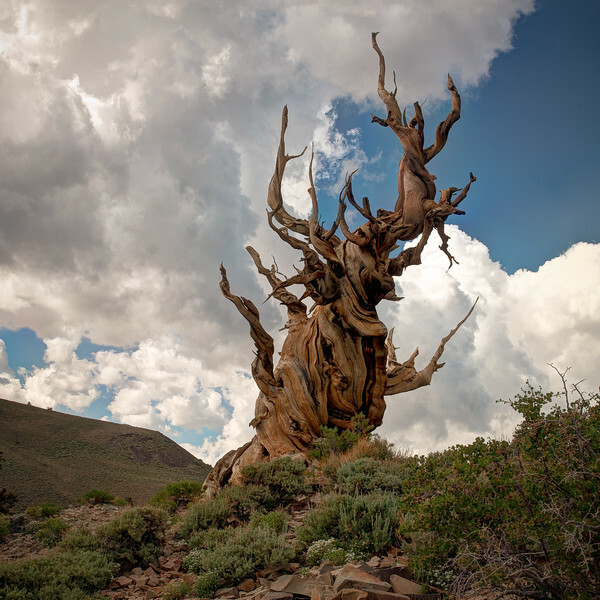 Anyone who follows my posted photos knows that I have a fondness for these 4,000 year-old contorted trees found in the White Mountains just east of the Sierra Nevada mountains. 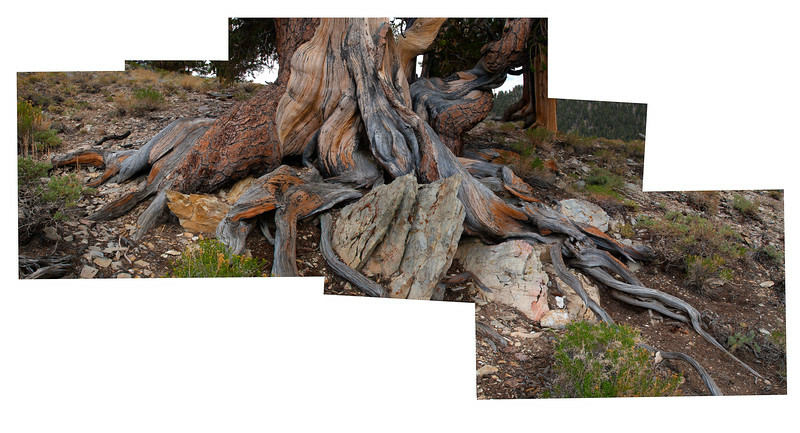 This tree in particular is probably the most-photographed of the grove, and one I enjoy revisiting often. 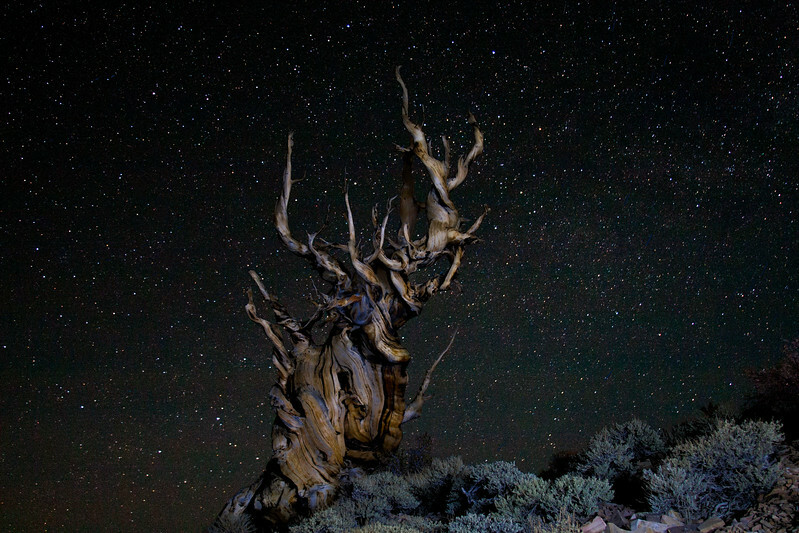 If you do visit these trees be prepared to have your breath taken away, literally. 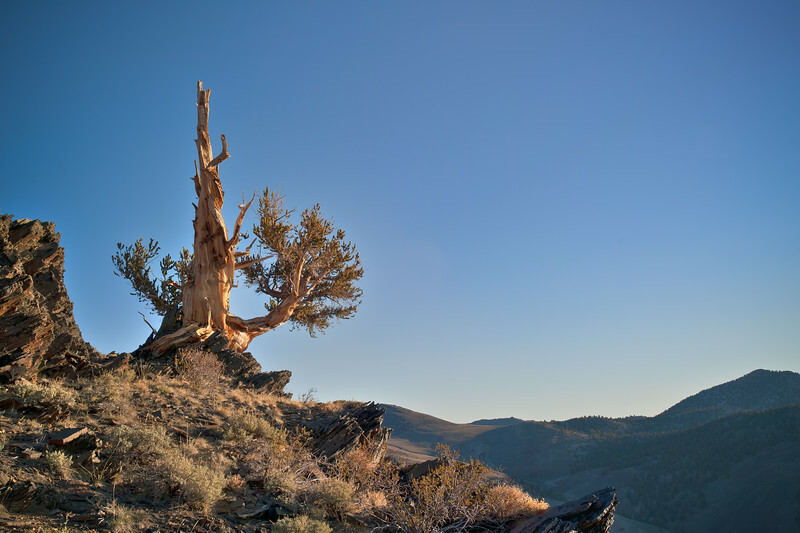 They grow best in higher elevations. 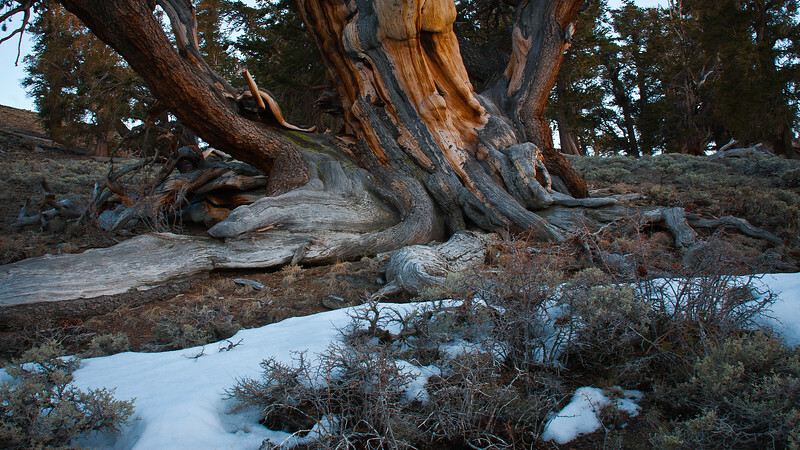 The notable trees in the White Mountains are around 10,000 feet elevation or higher. 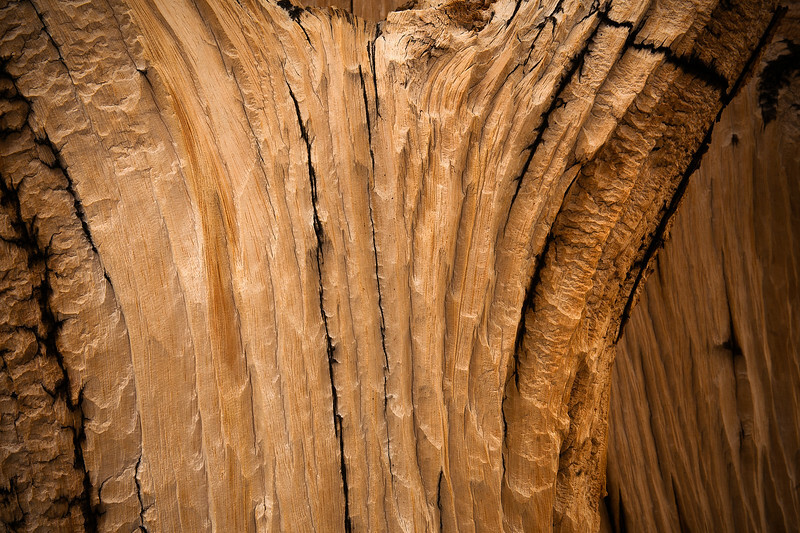 Even a simple walk around the grove will get you huffing and puffing until your climatized.